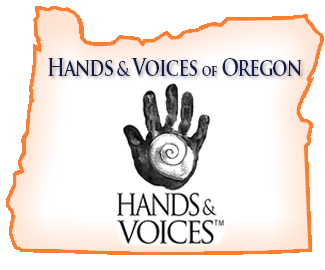 Hands & Voices (H&V) is dedicated to supporting families with children who are deaf or hard-of-hearing without a bias around communication modes or methods. We are a parent-driven, non-profit organization providing families with the resources, networks, and information they need to improve communication access and educational outcomes for their children. Our outreach activities, parent/professional collaboration, and advocacy efforts are focused on enabling deaf and hard-of-hearing children to reach their highest potential.